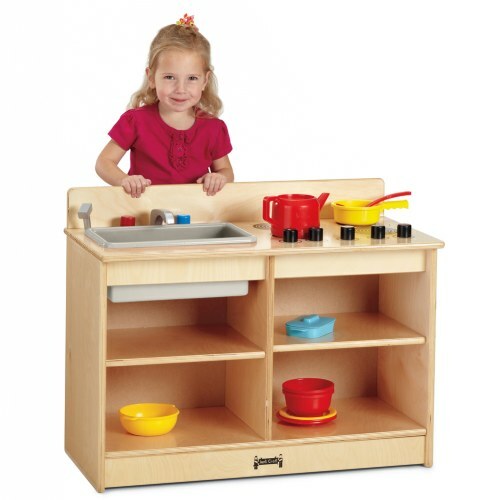 Sink and stove combined into one compact kitchen at a toddler's height. Realistic features like four stove "burners", wooden turn-button controls, and a pull out "sprayer". Counter is 20" high. Unit measures 23 1/2"H x 30"W x 15"D. Dishes are not included.